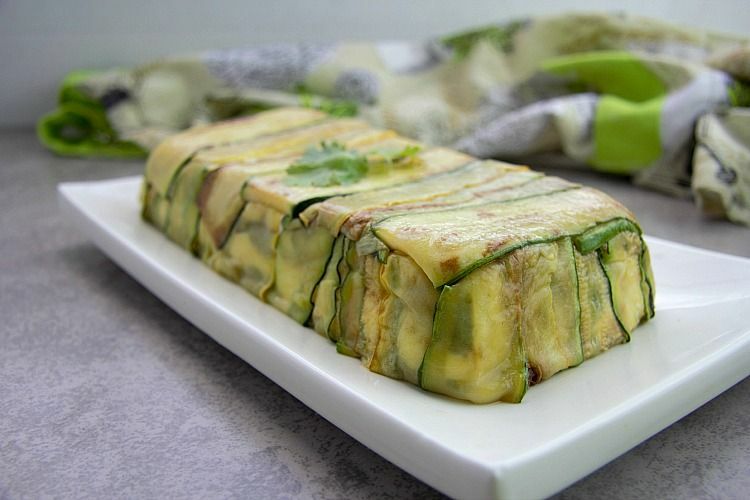 This no cook zucchini terrine is a delicious dish for summer and is served cold. 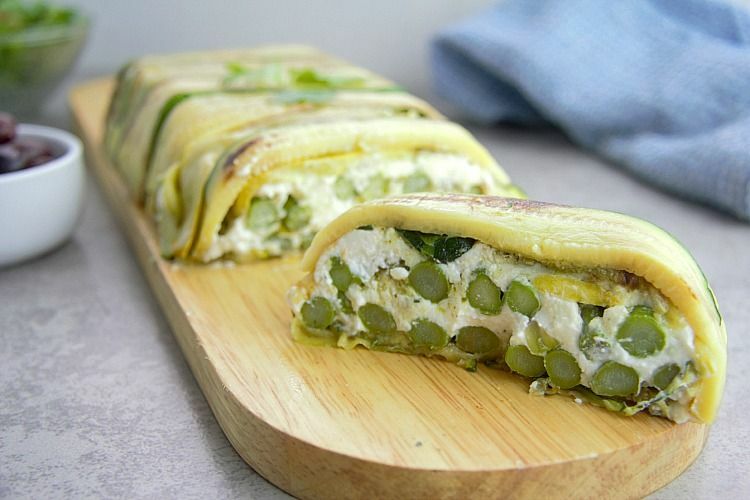 A pretty low carb and keto appetiser or picnic dish, it will become a family favourite. Or enjoy for a light lunch. 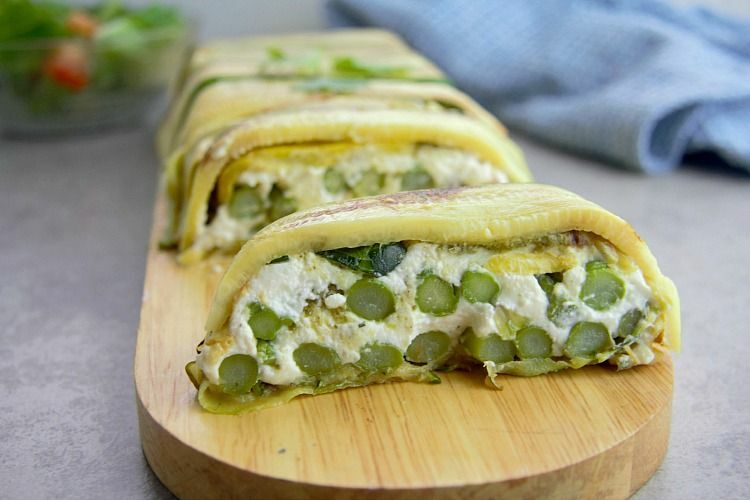 Lightly cooked zucchini ribbons encase a cheesy mixture of ricotta and feta with the bright green of the asparagus spears adding a delicate flavour and an appetising colour. There’s a bit of preparation with the cooking of the zucchini slices but it’s fun to assemble. Perhaps something the kids would enjoy helping you with. I saw a rare sighting of fresh asparagus in the supermarket and skipped off to the checkout with no idea what to do with it. Usually the asparagus for sale here looks like it has been sitting in a darkened warehouse for weeks with shrivelled tips. To see healthy stalks made me excited and I knew that I had to make something stunning with it rather than just roast it as a side dish. When you see an ingredient that is not common here, you must make it count. Especially when you have a food blog! You could serve this as an appetiser with a dash of pepper or tomato coulis or with a side salad for a healthy and hearty lunch. 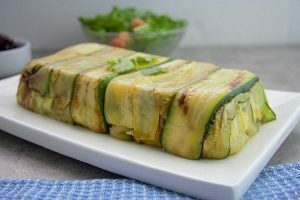 For the non-vegetarians out there, perhaps this zucchini terrine could have smoked salmon added to the layers? My advice on cooking the zucchini strips is to cook them gently and not too long. The water content in the zucchini will see shrinkage as great as George Constanza from Seinfeld in a cold pool. It took me a few zucchini strips to realize this, but they were set aside to cover any gaps. 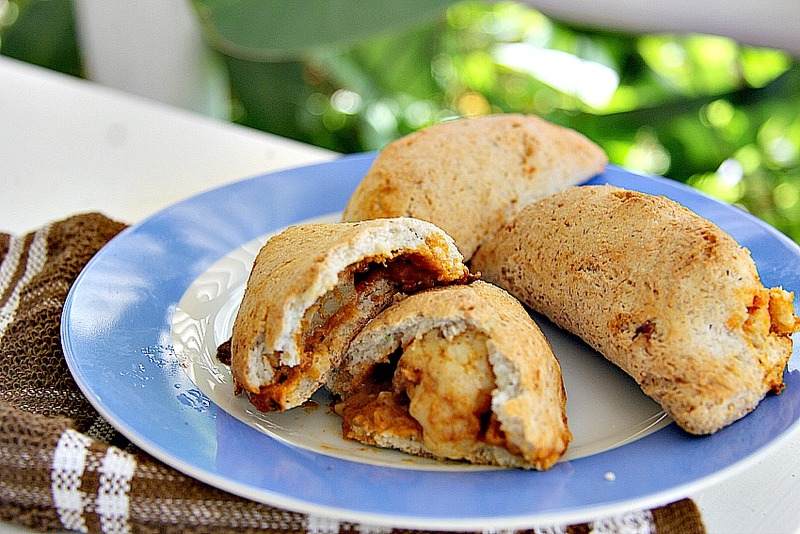 I used 4 medium sized zucchinis but that’s medium sized in St Lucia. Where you live might have a different definition of a medium zucchini so perhaps peel a couple of zucchinis into strips and cook. Add more as you go along once you assess whether you have enough to cover all the tin. The taste of this zucchini terrine is light, and I think the pesto helped give it an extra flavour. I even enjoy a slice cold for breakfast the next day. Being a vegetarian dish, the Chief Taster was not circling it like a hungry lion. So, the zucchini terrine was safe and made it to the next day. 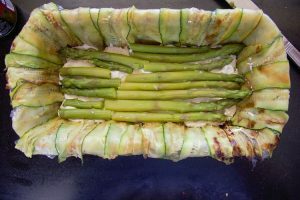 I found this a fun dish to assemble with most of the cooking time being on the zucchini as you need to cook the ribbons in batches. 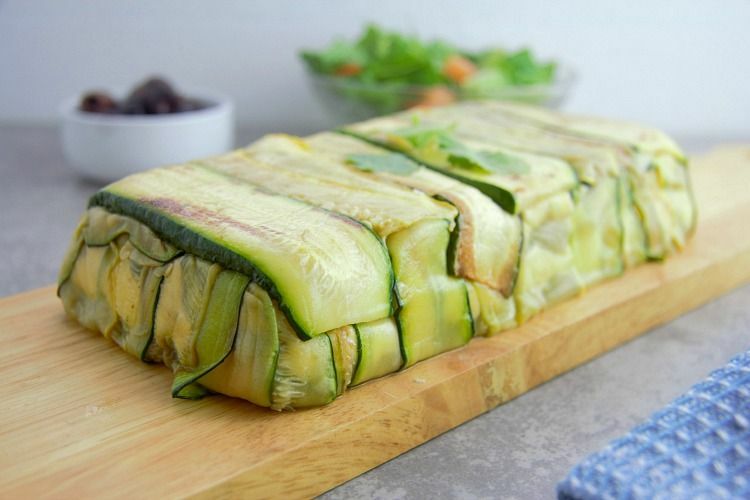 There is a satisfying moment when you turn out the chilled zucchini terrine, remove the clingfilm and see the green loaf with the pretty zucchini strips. I added a couple of yellow zucchinis for a colour contrast, but they didn’t stand out as much as I had hoped. Try this as a make ahead dish. You could even make it the day before serving. 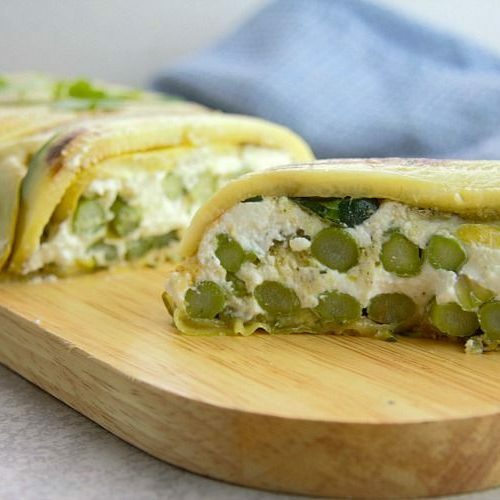 If you are having a dinner party it would be an ideal appetiser to make ahead. To me, it would be a perfect picnic food, but I’d cut it into slices beforehand, so the picnic is less messy. Halve any thick asparagus tips to make an even layer as possible. Make sure you leave a generous over hang of clingfilm in the tin. Gently cook the zucchini quickly so not to shrink the strips too much. You could add fresh herbs to the cheese mixture. I’d suggest mint or dill. Feel free to add other cheese. I’d keep the ricotta as the base but perhaps cream cheese or goats cheese would be a delicious addition. 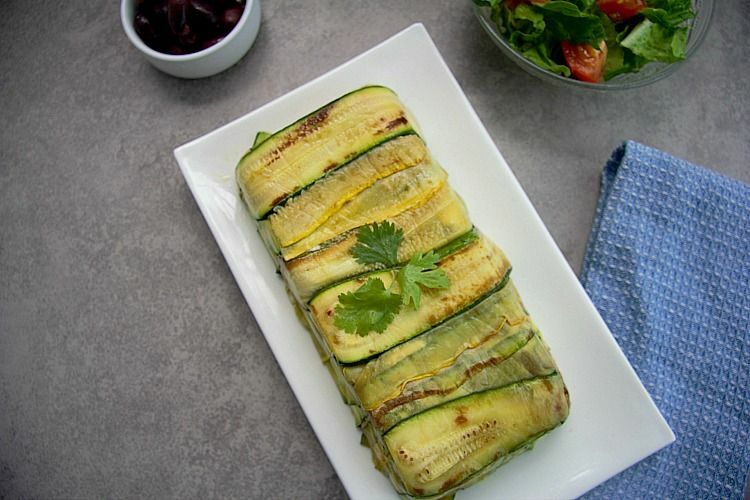 Thinly slice the zucchini into strips with a vegetable peeler. Gently fry for 1-2 minutes until just tender, turning over when slightly golden. 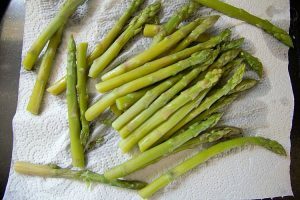 Steam (or boil) the asparagus until just tender for about 3 minutes. Drain, dry and set aside. In a bowl add the Ricotta, Parmesan, Feta cheese along with the lemon rind and juice. Mix well until combined and smooth. 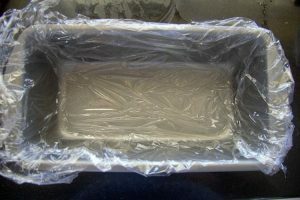 Line a 1lb loaf tin with clingfilm making sure that there is an overhang. 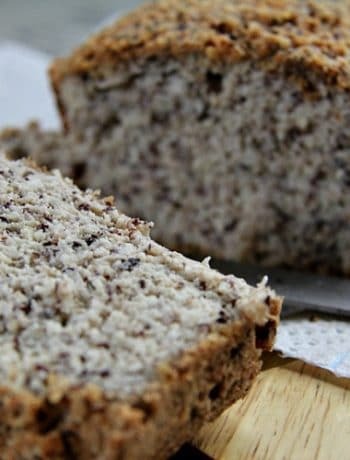 Gently place the cooked zucchini strips on the bottom of the tin, laying them widthways with a slight overlap (this will be the top of the loaf so make it pretty!). Continue placing the zucchini strips around the edge of the tin, making sure that the ends are overhanding over the tin. You will be folding these over later. Spoon in half of the cheese mixture and spread evenly. Gently spread half of the pesto over the cheese mixture. Place the asparagus spears on top length ways. Repeat with the remaining pesto, cheese mixture and asparagus. Fold the zucchini ends over the top and add more zucchini ribbons on top to cover the terrine. Place a light weight on top to compress the layers and chill for at least 2 hours. Unwrap the terrine and turn out onto a serving plate.